Liz Janczak is a Partner in the Bankruptcy and Financial Restructuring Practice Group at Freeborn & Peters LLP. Liz has represented creditors’ committees, debtors, post-confirmation trustees, and creditors in a variety of chapter 11 proceedings including section 363 sale transactions, chapter 11 plan confirmation, executory contract litigation, breach of fiduciary duty litigation, and various chapter 5 avoidance actions. In addition to her restructuring experience, Liz is experienced in chapter 7 liquidation proceedings, representing trustees and creditors in avoidance action litigation, involuntary petitions for bankruptcy relief, non-dischargeability actions, and appellate proceedings. In addition to her bankruptcy practice, Liz has represented plaintiffs and defendants in litigation arising under the Perishable Agricultural Commodities Act (PACA) in federal courts across the country and before the USDA. Liz has also vetted PACA claims in chapter 11 cases as both special PACA counsel to the debtor and as creditors’ committee counsel. 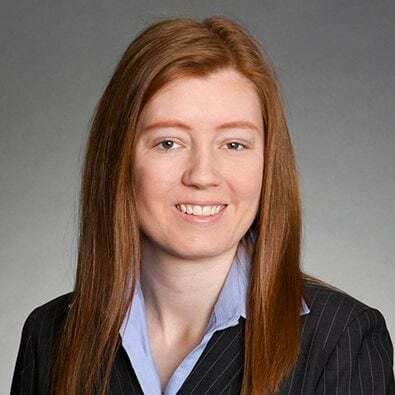 Before joining Freeborn, Liz was a Staff Law Clerk for the U.S. Bankruptcy Court for the Northern District of Illinois and a law clerk to the Honorable Bruce W. Black. Currently representing Markpol Distributors, Inc., an Illinois-based importer and distributor of grocery and confectionary goods, in its chapter 11 bankruptcy proceeding pending in the U.S. Bankruptcy Court for the Northern District of Illinois. Currently representing Michael Polsky as post-confirmation Litigation Trustee in the chapter 11 bankruptcy case of CS Estate, Inc. f/k/a Cardiac Science Corporation in litigation pending in the U.S. District Court for the Central District of California against former officers and directors of Cardiac Science. Represented the Official Committee of Unsecured Creditors of Quantum Foods, LLC et al. as special litigation counsel in the U.S. Bankruptcy Court for the District to pursue approximately 150 avoidance actions, which netted a gross recovery of over $4 million for the benefit of the debtors’ estates. Represented the Official Committee of Unsecured Creditors of PRM Family Holding Company, LLC (“PRM”) and its affiliated debtor entities, a regional grocer located in Arizona with eleven supermarkets located in four Southwestern states. Liz worked with PRM to analyze and vet the numerous PACA claims filed in the case and with PRM, its lenders and other parties-in-interest to sell the debtors’ assets. Liz is also representing Dale Schian as post-confirmation Creditor Trustee in these cases and has pursued over 200 avoidance actions. Represented the Official Committee of Unsecured Creditors of R.T. Midwest Holdings, Inc., and assisted in the effective implementation of a sale-leaseback transaction that would allow the debtors to downsize and shed its real estate assets and secured indebtedness. Despite the secured lender’s undersecured position, Freeborn was able to secure a meaningful distribution for general unsecured creditors. Co-author, "Litigation Regarding Discharge and Dischargeability," Commercial Bankruptcy Litigation, Thompson Reuters, 2d ed. (2013). Co-author, "DIP Financing Agreements: The Effect of Pre-Petition Indemnification Provisions," The Bankruptcy Strategist, Vol. 30, Number 5, March 2013. Co-author, "Practical Asset Protection Planning Concepts and Ideas," Estate Planning Magazine, November 2012. Freeborn & Peters LLP Selected to Represent the Official Committee of Unsecured Creditors of Total Finance Investment Inc.
Freeborn & Peters LLP has been selected to represent the Official Committee of Unsecured Creditors of Total Finance Investment Inc.
Freeborn & Peters LLP is pleased to announce that the firm has elevated attorneys Ryan W. Blackney, Elizabeth L. Janczak and Tina Wills to Income Partner, effective Jan. 1. On November 4, 2015 Freeborn was selected as counsel to the official committee of unsecured creditors of Cardiac Science Corporation (“CSC”), in the U.S. Bankruptcy Court for the Western District of Wisconsin. Freeborn & Peters LLP Selected as Counsel to the Official Committee of Unsecured Creditors of Gas-Mart USA, Inc.
On July 10, 2015 Freeborn was selected as counsel to the official committee of unsecured creditors of Gas-Mart USA, Inc. (“Gas-Mart”), in the U.S. Bankruptcy Court for the Southern District of Missouri.